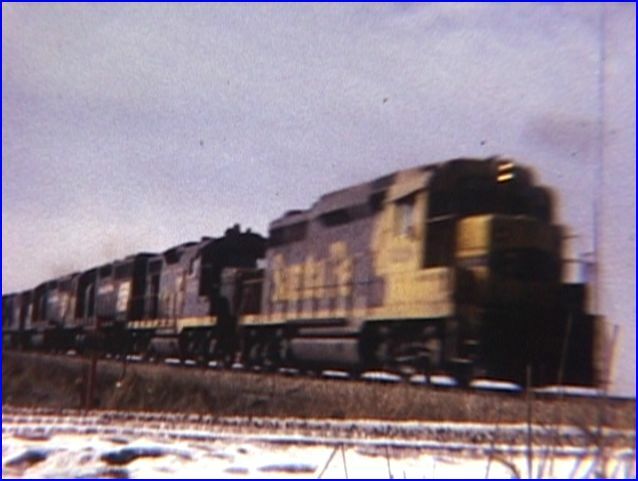 C. Vision has this collection of vintage train films from 1967 to 1976. Everything is from the camera of Louis Schaefer. Chicago, Burlington & Quincy with Santa Fe, are the stars of the show. 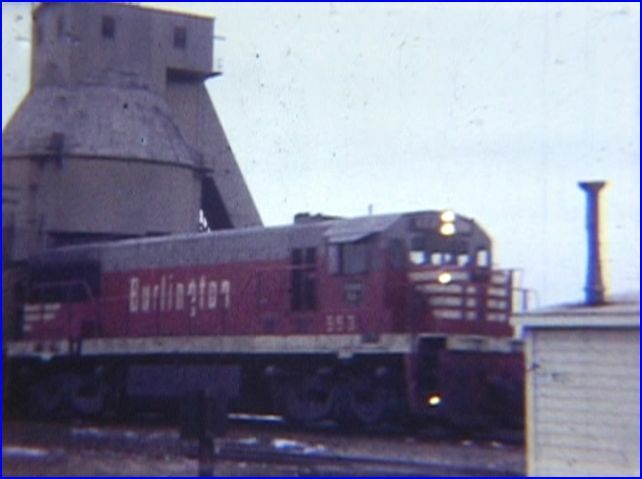 Early Burlington Northern and Amtrak appear as the timeline progresses. The locale is your basic midwestern cornfield. The graphics do inform of what town. 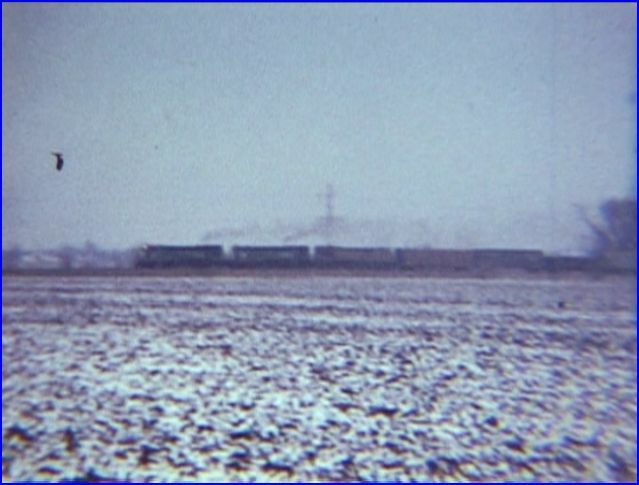 Numerous shots are in dreary, winter weather. Winter trains get covered in grime and don’t present clearly. The show opens in 1967. Proceeds chronologically. 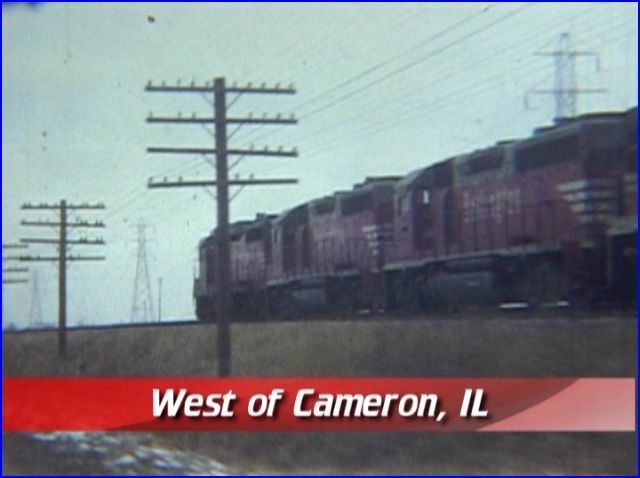 Shifts between Cameron and Galesburg. No map is included. Galesburg has a handful of action at the Burlington yard. The graphics are frequently displayed. A few minutes of vintage CB&Q. 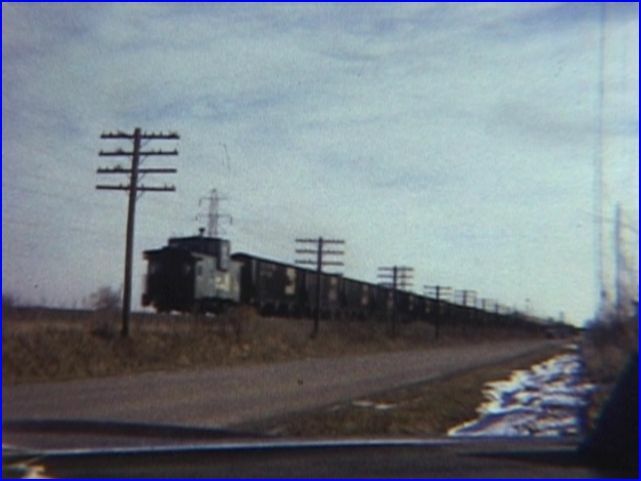 Why are we viewing so many of these far away, and nearly indistinguishable trains ? Long Distance 101. Does this style work on TV ? Filmed in 8mm, all color film. This is amateur shot. 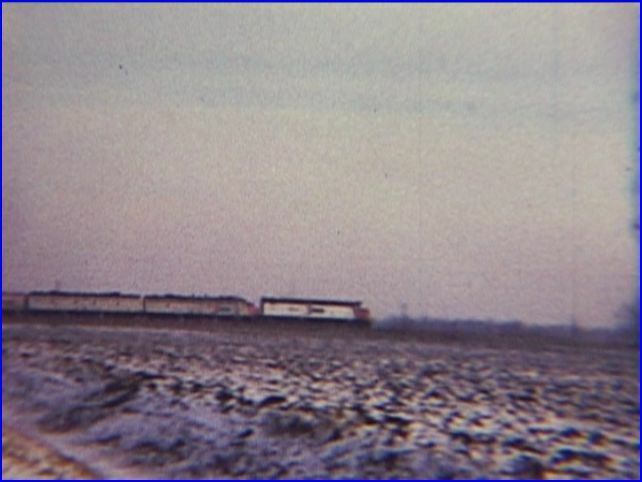 The trains are too often viewed from across farm fields. Quality is mainly fair. The footage has; specks, scratches,and streaks. The show just isn’t clean looking. Do not expect a pretty program, or many clear viewpoints. Too many obstructions give a lazy impression. Composition skills are often, below average. Used an extreme example here, after watching a bunch of trains through many things. Frequently, there are: fence posts, poles or other obstructions. He should have setup on the other side of fences, posts and fields. 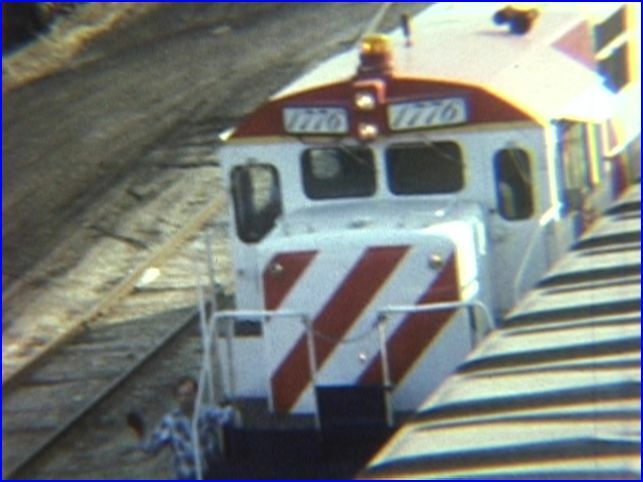 Also, the camera should have been closer to the trains. Over the 9 years, little improvement in technique either. Gets closer, but still camerawork is clumsy, for the most part . The menu has chapters separated into years. Bulk of the action occurs in 1976. Choice of music on/ off. The narration is clear and performed by Don Grant. No train sounds are heard. There are some later scenes, which contain standard viewpoints. 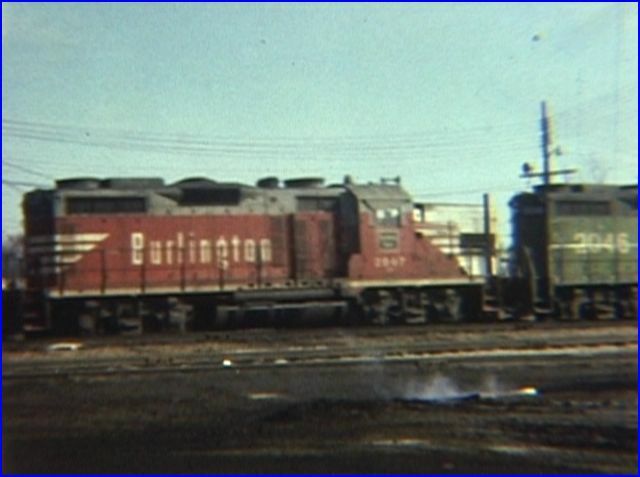 A definite highlight is Burlington Northern 1776 ! 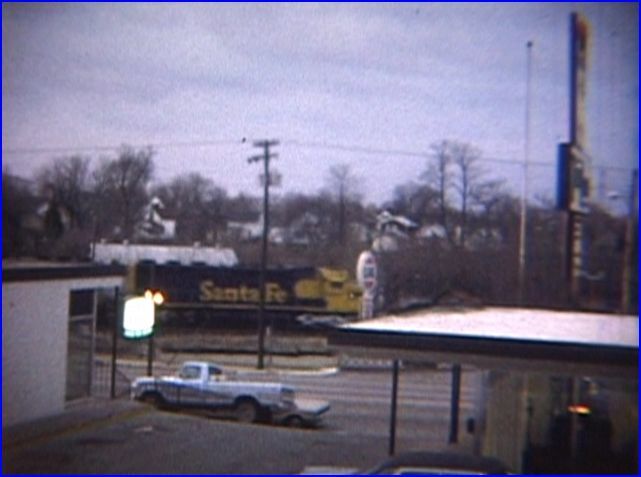 A surprise was the amount of Penn Central pool power on Santa Fe freights. A little Union Pacific is evident on Burlington. trackage. 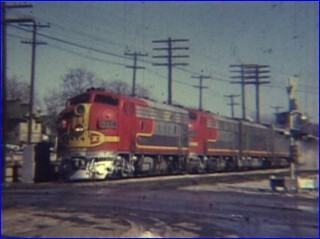 Rarities are few- the 2 Bicentennial locomotives. 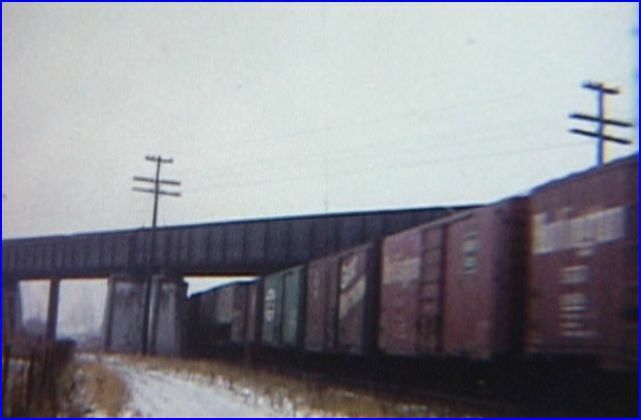 Some good freight car strings. Hardly a decent caboose shot. Nearly everything is distant or partially obstructed. This is a below average show. 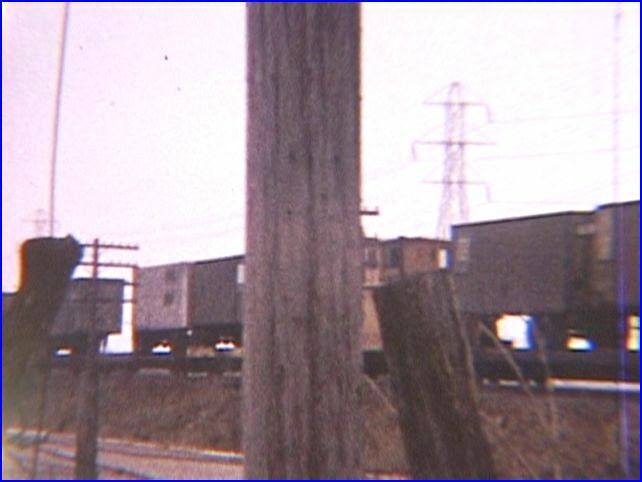 These old films are unrestored. They not in good condition. 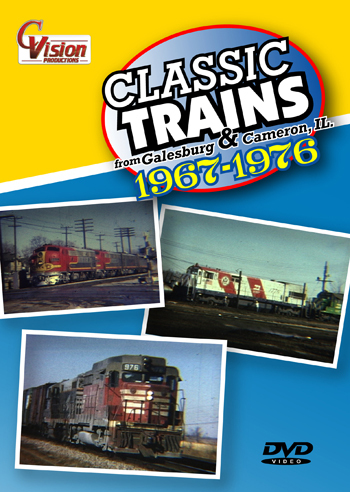 Classic trains are contained within this release. The cameraman just doesn’t display very good movie skills. C Vision has better shows than this one. 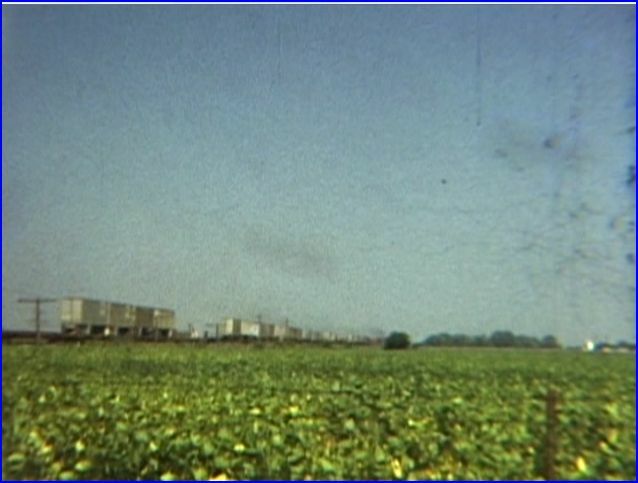 If you are new to C Vision, check the Fred Crissey vintage filmed programs, before this one. There are some goodies in this release. Proportionally, they are a low percentage. 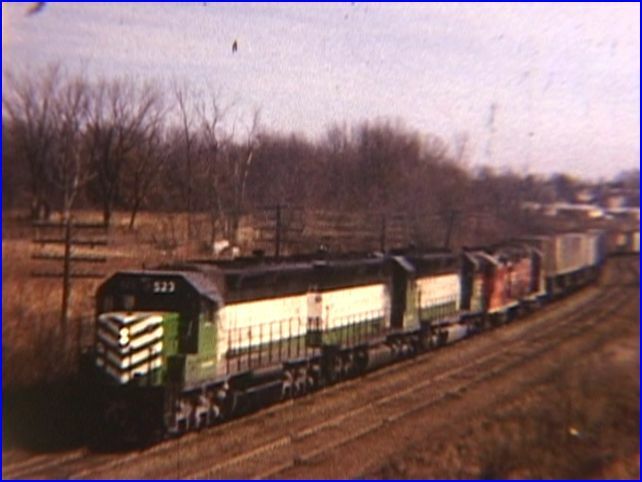 This entry was posted in ATVR Reviews, C Vision and tagged American Train Video Reviews, Amtrak, Burlington Northern, Burlington Route, new releases, Railroad, Train DVD by William J. Hudson. Bookmark the permalink.